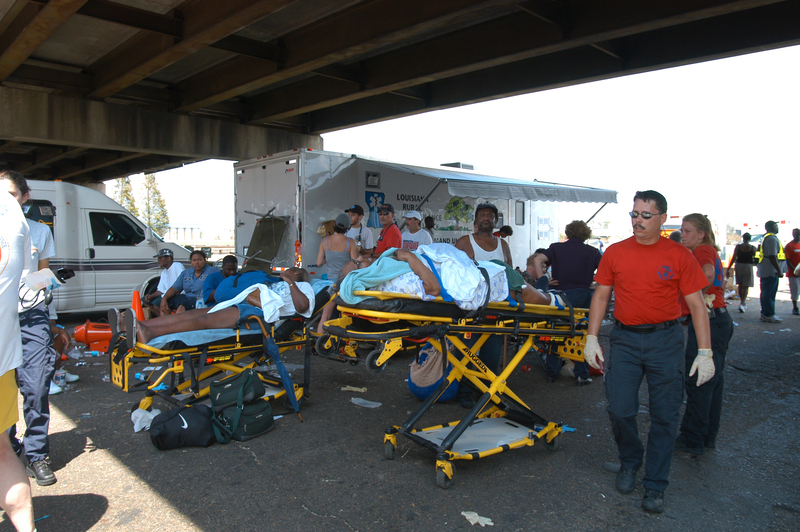 New Orleans, La, August 31, 2005 – Evacuatuees with health or medical problems are examined in a triage area set up at the main staging site at the intersection of I-10 and Causeway. Many evacuees affected by Hurricane Katrina on August 31 in need of additional medical attention were taken to outlying towns and cities with hospitals. Photo by Win Henderson / FEMA photo.